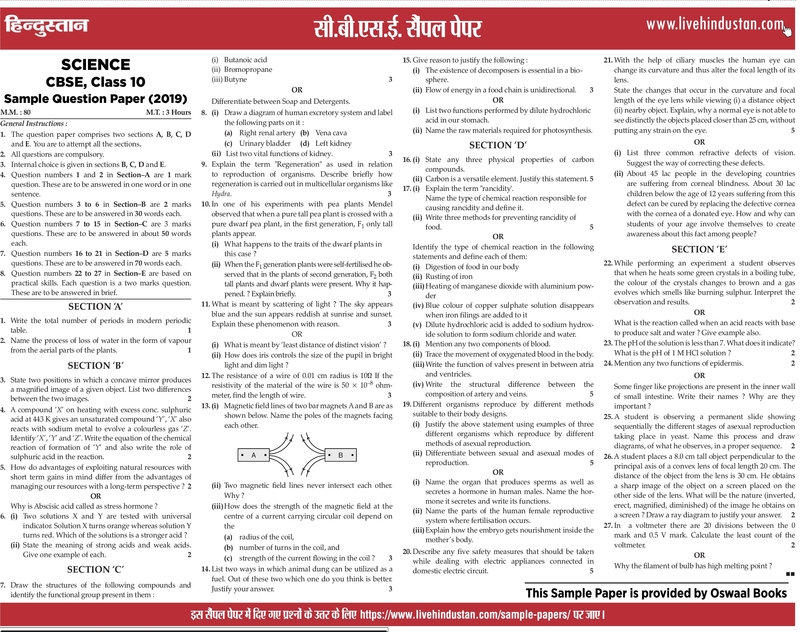 CBSE Board Model Papers for Class 10th English, Mathematics, Hindi, Science, Social Science and Class 12th Physical Education, Business Studies, Accountancy, Biology, Economics, Mathematics, Physics, Chemistry, English, Hindi & Business Studies are available Now. 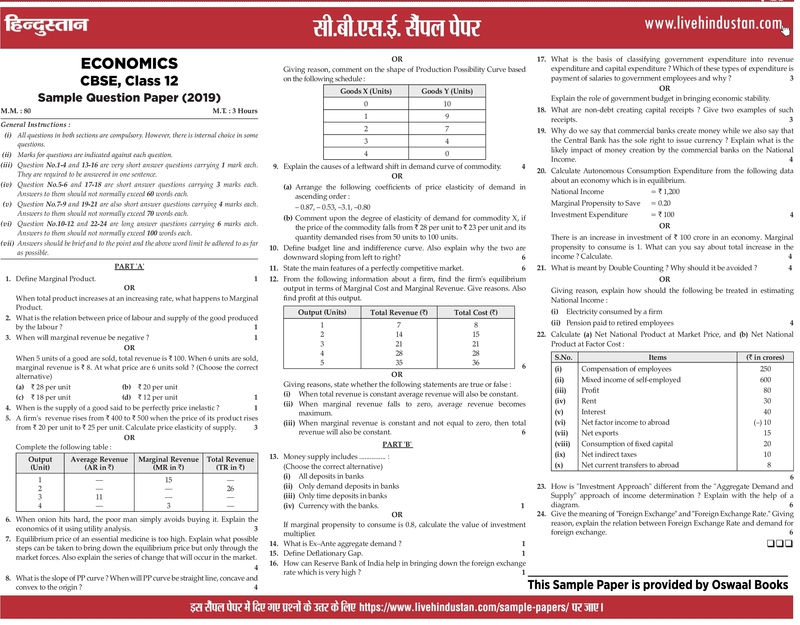 Students can download Practice Papers from links below…. 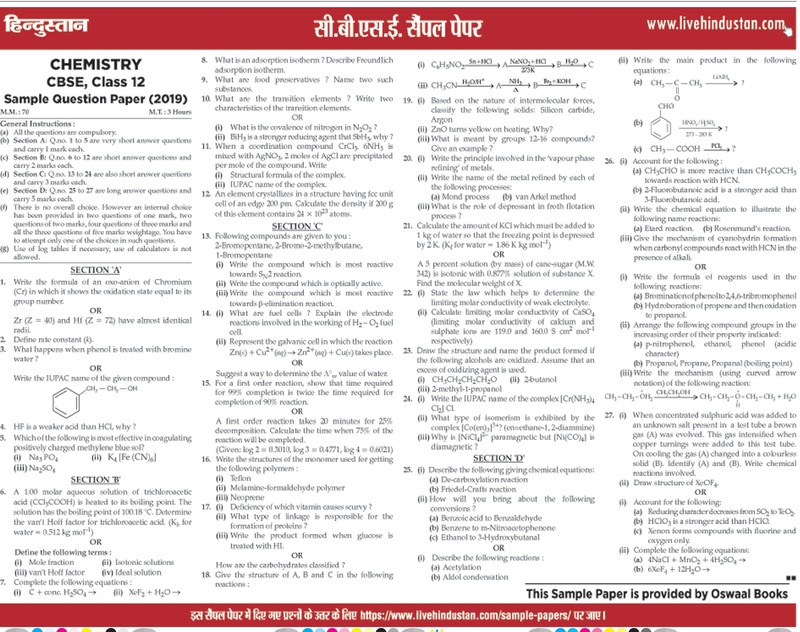 CBSE Board has uploaded Date Sheet of Class 10th & 12th Exam. 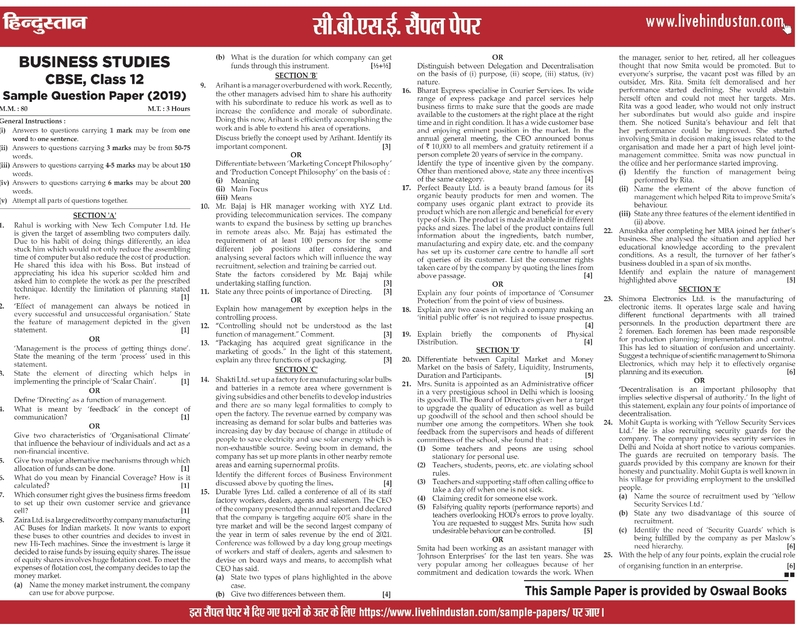 CBSE Board Main Exams will conduct in March, 2019. 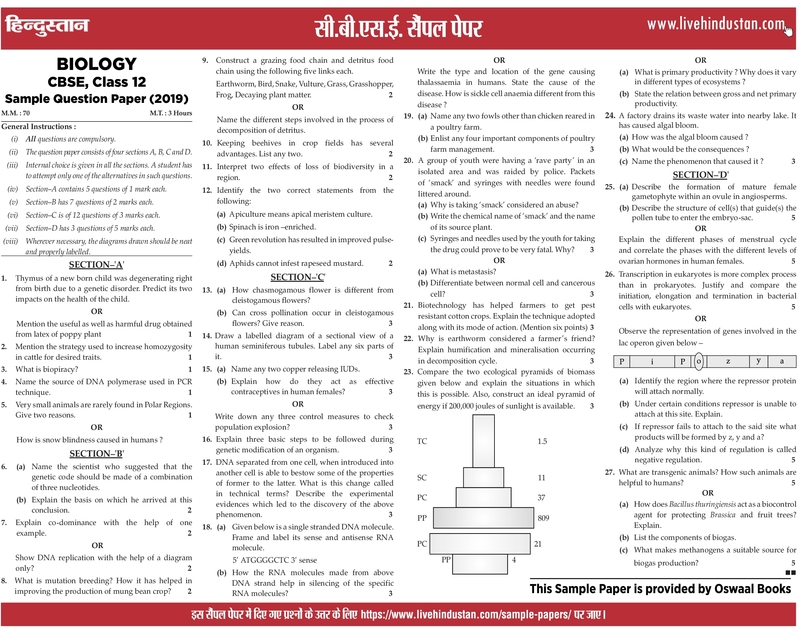 Download 10th 12th Date Sheet from link given below……. 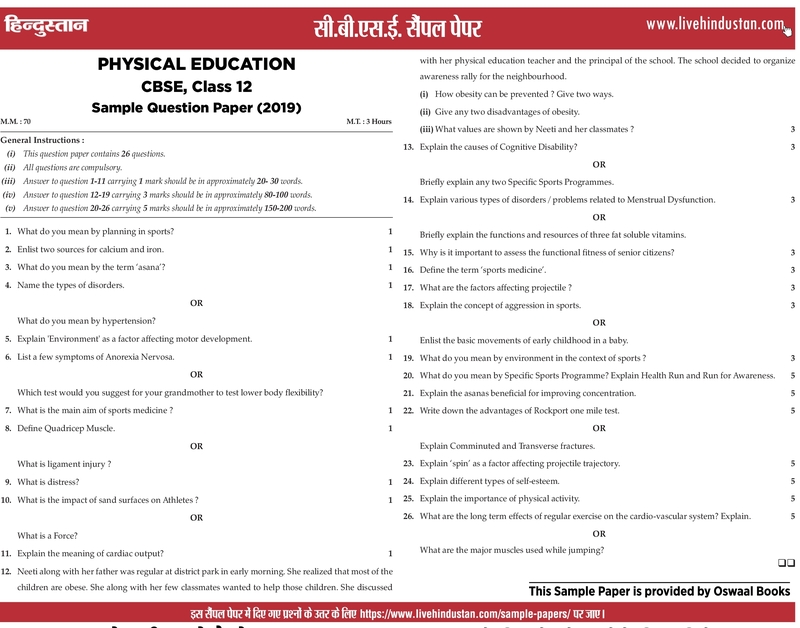 The Central Board of Secondary Education (abbreviated as CBSE) is a Board of Education for public and private schools, under the Union Government of India. Central Board of Secondary Education (CBSE) has asked all schools affiliated to follow only NCERT. 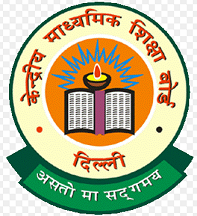 CBSE affiliates all Kendriya Vidyalayas, all Jawahar Navodaya Vidyalayas, private schools and most of the schools approved by central government of India. 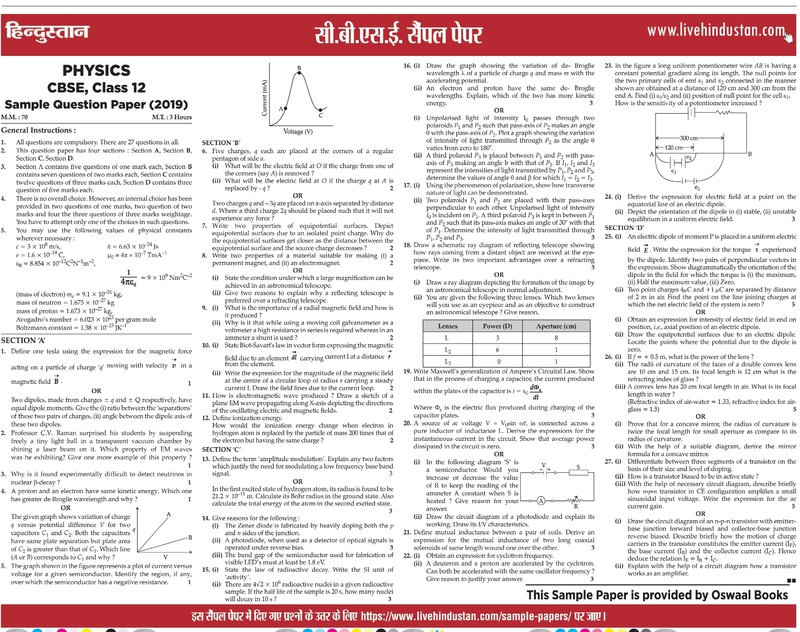 CBSE conducts the final examinations for Class 10 and Class 12 every year in the month of March. The results are announced by the end of May. The board earlier conducted the AIEEE Examination for admission to undergraduate courses in engineering and architecture in colleges across India. 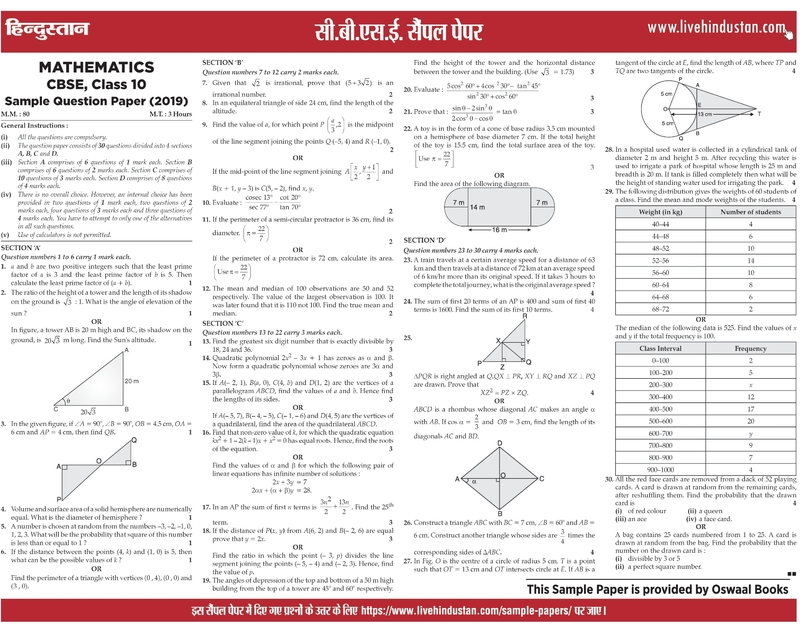 However the AIEEE exam was merged with the IIT-Joint Entrance Exam (JEE) in 2013. 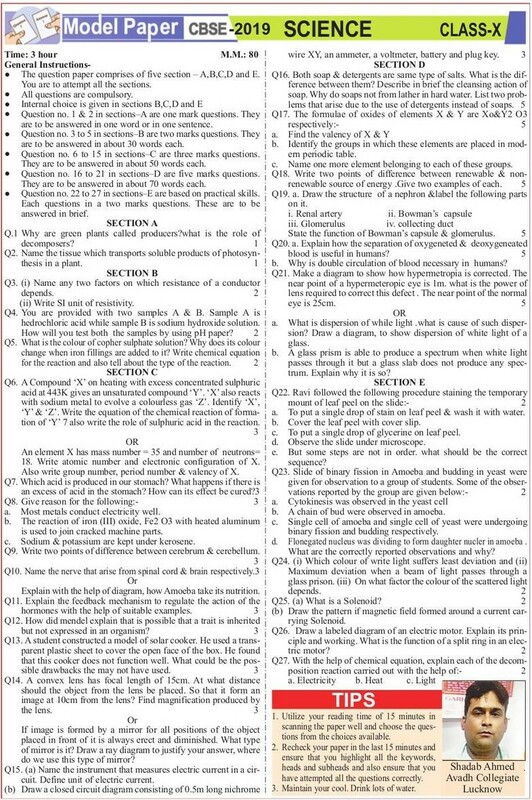 The common examination is now called JEE (Mains). 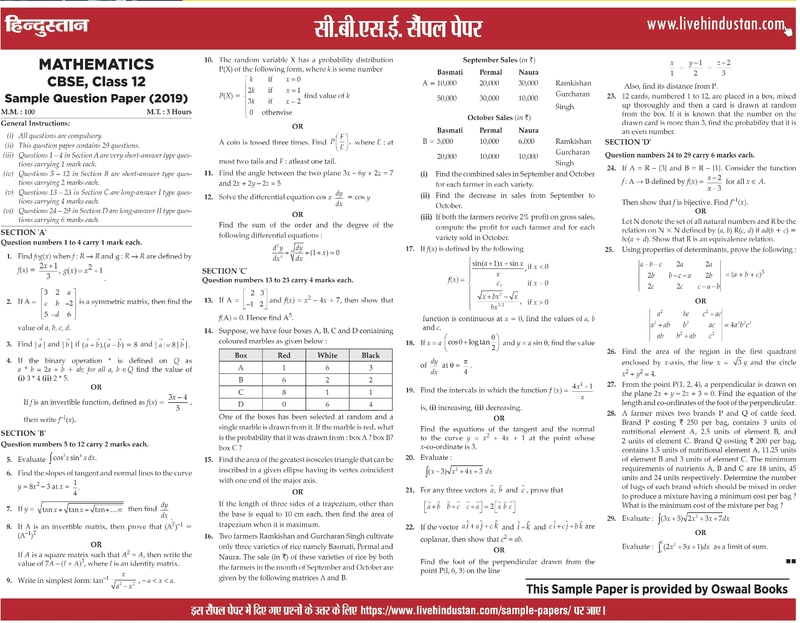 CBSE Date Sheet 2019 : CBSE has relased Date Sheet of High School & Intermediate Exam 2019. 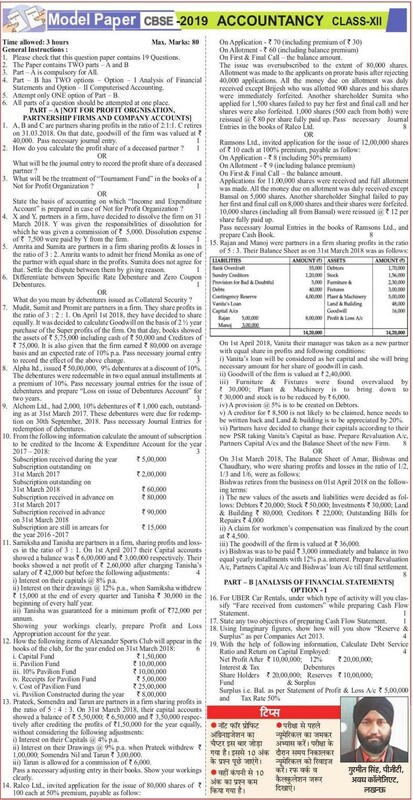 Board Exams will conduct in March/ April 2019. Students are required to keep in touch with official website for Latest Updates regarding any change in Date Sheet/ Time Table. 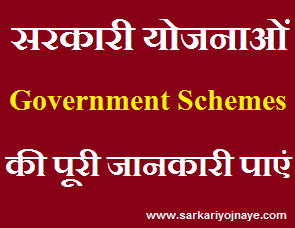 Any Change in Exam Scheme will be notified on CBSE Official Website. 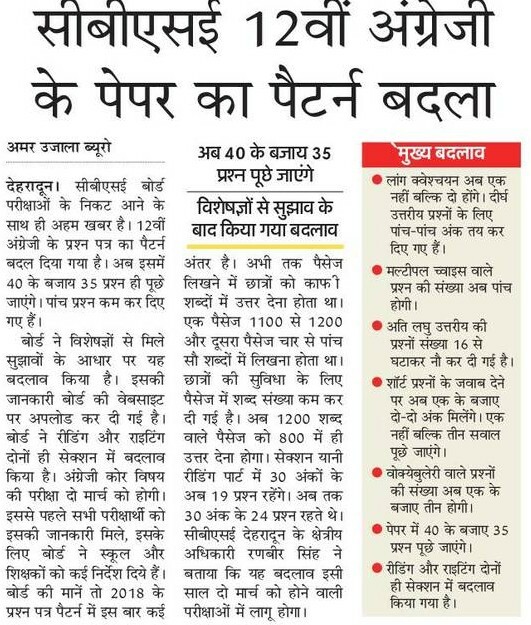 NOTE : As Per New Pattern, CBSE will conduct Exams in two Phases. 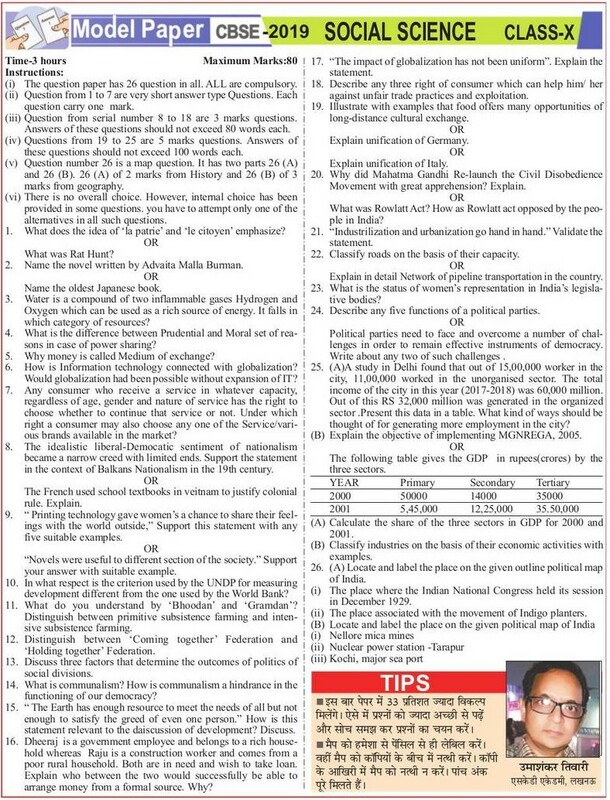 For Vocational Subjects, CBSE Board Exams will conduct in February, 2019 while for Academic Subjects Exams will conduct in March, 2019. 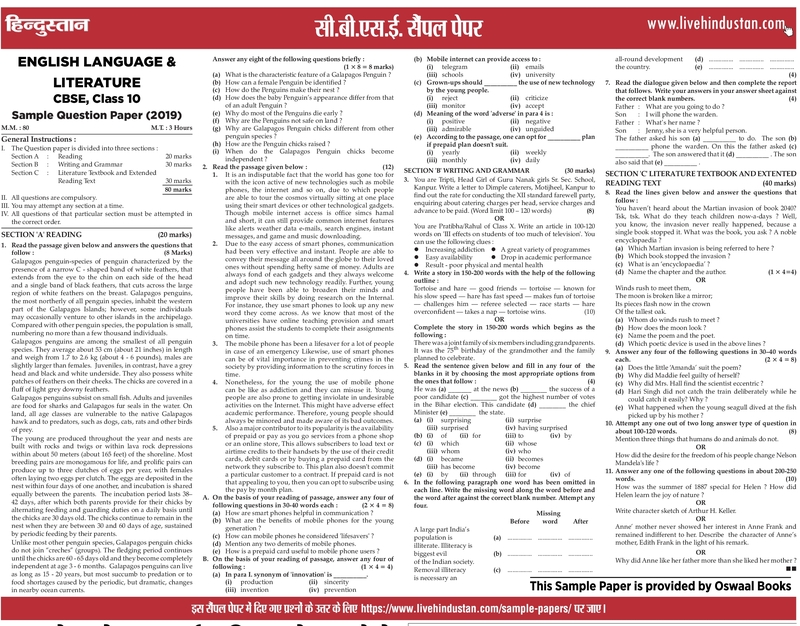 Candidates need to have regular watch on official cbse website. Latest Updates will also provided on this Page itself. 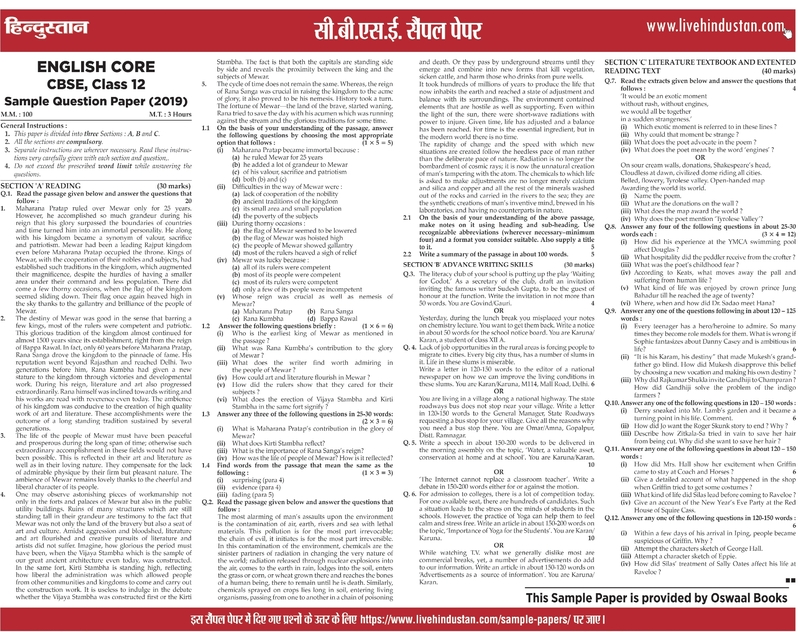 Press CTRL+D to Bookmark & Get Latest Updates of CBSE Board Date Sheet 2019.